Searching for an efficient, spacious, attractive compact car near Irving, Grand Prairie, Grapevine, or Dallas? The 2018 VW Jetta checks all those boxes and then some, with its commitment to practicality above all. In this review, we’ll look at the 2018 Volkswagen Jetta 1.4T S, the base trim of the VW Jetta lineup. It offers a wide range of standard features and impressive capabilities, and we at Metro VW want to keep local drivers in the loop. Read our review and contact us if you have any questions! The infotainment system of the 2018 VW Jetta 1.4T S has a wealth of features, even on this base trim level. A 5-inch touchscreen provides digital and some physical controls for you to control CD or MP3 playback, as well as AM/FM stereo. And with a 4-speaker sound system, your favorite tunes will come through loud and clear. Need to complete a call while you’re behind the wheel? With standard Bluetooth® wireless, you can make hands-free calls without looking away from the road, letting you stay in touch with friends, family, bosses, coworkers—you name it. And, you can use the same technology to stream music and get a real-time audio experience! This year’s Volkswagen Jetta 1.4T S uses the base engine in the VW Jetta lineup: a turbocharged 1.4L TSI I-4, with 150 horsepower and 184 lb-ft on tap. You can enjoy a lively drive around town, and you’ll even get solid acceleration as you climb to highway speeds. You can get the VW Jetta 1.4T S with either a 5-speed manual or 6-speed automatic transmission. The 1.4T S trim is the only trim (aside from the Wolfsburg Edition) to offer the manual, which can deliver a sportier and more engaging ride. The 1.4T S with manual transmission gets the best fuel economy in the lineup (though the automatic isn’t far behind) with an EPA-estimated 28 city and 40 highway MPG.1 With numbers like that, you’ll find regular stops at the gas station becoming less and less frequent. 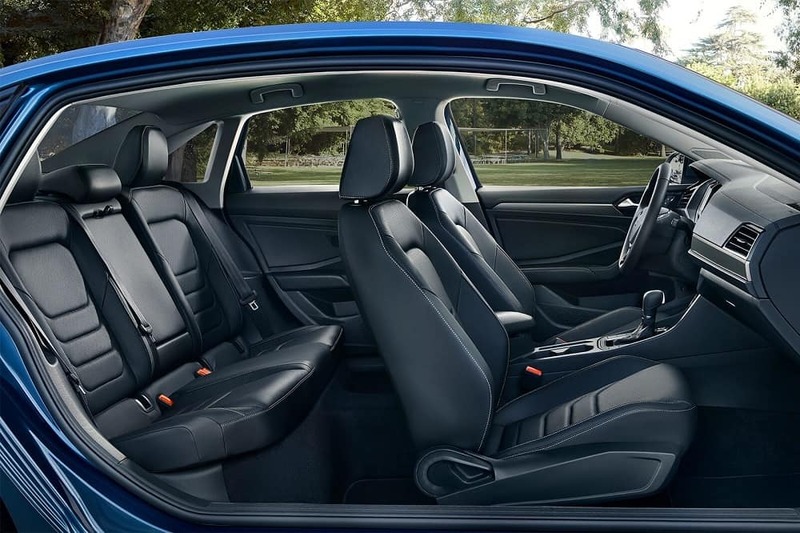 The 2018 VW Jetta 1.4T S may be a compact car, but its small exterior dimensions barely touch the spacious interior of its cabin. With 41.2 inches of legroom up front and a generous 38.1 inches in the back, adults can sit comfortably throughout the car, even for longer trips. The seats provide generous support and are cloaked in cloth. That roomy cabin is complemented by a large trunk. Cargo space logs in at 15.7 cubic feet, which is more than enough to hold your weekly groceries. It can also fit four sets of golf clubs or nearly a dozen carry-on luggage bags. If you need even more room, the rear seats feature a 60/40 split to help you fit longer and larger items. After reading our 2018 Volkswagen Jetta 1.4T S review, are you ready to get behind the wheel yourself? The VW Jetta 1.4T S offers many interesting features you can only fully experience when you schedule a test drive. 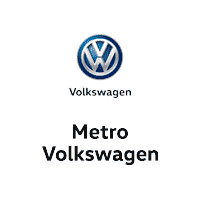 Do it right here at Metro VW today! Whether you live in Irving, Grand Prairie, Grapevine, or Dallas, our team of auto experts will help acquaint you with this exciting compact car!